Action Mental Health is delighted to be the nominated beneficiary for this year’s Charity Shield. 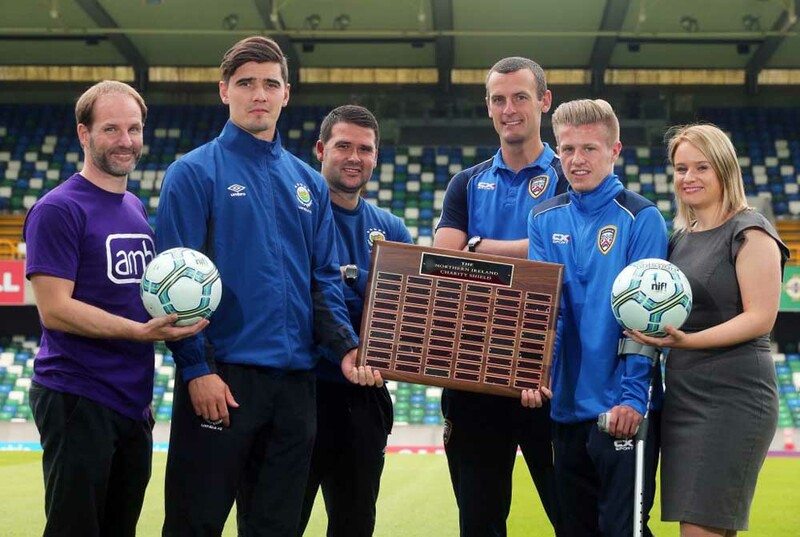 The reigning Danske Bank Premiership champions, Linfield will face last season’s Irish Cup finalists Coleraine in the Action Mental Health Charity Shield on 5 August. The game at the Oval, Belfast, will benefit Action Mental Health as the nominated charity of NIFL sponsor Danske Bank. Linfield and Coleraine will be hoping to commence the season in a positive fashion in advance of their opening Danske Bank Premiership fixtures on Saturday, 12 August 2017. Entry to the game will be £8 adult, £5 for 12-16 years-old, U12s enjoy free admission. Our thanks goes to everyone involved and best of luck to both teams!